The Labor Inspectorate registered 27 deaths in the country-based workforce in Norway in 2017. Thus, the number of occupational injuries falls at a historically low level. Despite a slight increase from 25 occupational injuries in 2016 to 27 occupational injuries in 2017, the number is well below the average for the past six years. 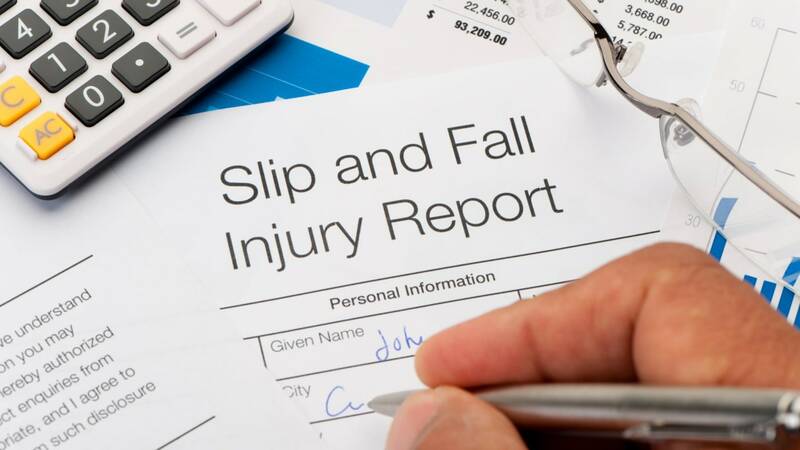 In the period 2012 to 2017, there are on average 36 occupational injuries per year. By 2017, there were a total of 26 accidents involving workers. One of the occupational accidents resulted in two deaths. "I am pleased that the number of occupational injuries is still below the average in recent years. Nevertheless, 27 occupational injuries are 27 too much. Therefore, it is important that all the players in the workforce work even more and even better in preventing accidents, "says Trude Vollheim, Director of Labor Inspection. When the Labor Inspectorate analyzes occupational accidents, we see that there have often been no adequate measures taken to safeguard safety. In many cases, risk assessments have not been made, the risk assessments have been inadequate, or the perpetrator has not received sufficient training. "Most accidents in the workplace could have been avoided. Security must be created and recreated every single day, "says Vollheim. Six of those killed in 2017 were foreign workers. This is the lowest registered number since 2013. The proportion of foreign workers is on the same level in 2017 as the average for the last six years. In the period 2013-2016 we have seen an increase in the proportion of foreign workers among the perpetrators. By 2016 this proportion was 40 percent, that is, 10 of 25 deaths, while in 2017 22 percent of the foreigners were killed. The lower proportion in 2017 is due to the fact that the number of Norwegian workers as deaths increased somewhat compared with 2016, while the number of foreign workers as a perjury decreased. "It is too early to say whether the decline in the proportion of foreign workers among the perpetrators from 2016 to 2017 is a sign that developments have reversed. There are small numbers, and changes from one year to another do not provide grounds for concluding. Then we must see a trend over several years. It is nevertheless positive to see that the number of foreign workers who lose their lives at work is significantly lower in 2017 compared to the previous years, says Trude Vollheim, Director of Labor Inspection. Five of the six foreign workers who died in 2017 came from EU countries in eastern Europe, while one was a Swedish citizen. Three of the lost work in the construction industry, two in industry and one were employed in the business business service industry. Many of the risky industries employ foreign workers. During the winter, the Norwegian Labor Inspection Authority will come up with a report that examines the risk of foreign workers in the Norwegian land-based workforce. The construction industry is one of the most risky industries in the Norwegian land-based workforce, and has historically had a significant share of the annual occupational injuries. Also in 2017, construction is the industry with the highest number of occupational injuries. There were seven occupational injuries in construction in 2017, against eight in 2016. The average in the industry for the period 2012-2017 is eight deaths per year. "At industry level, it is working hard and seriously to reduce the number of accidents in construction and construction. However, many of the businesses still have a great potential for improvement. Working systematically with health, safety and environment is essential to reduce the risk of occupational accidents and occupational injuries. The employer is responsible for risk assessing the work, providing necessary security measures and providing good training to the employees, "says Vollheim. The Labor Inspectorate will continue to make an effort in risky industries with supervision and guidance and cooperation with key actors. In 2018, the broad efforts in the four industries will continue, as in 2017, and historically, most of the occupational injuries have occurred: Construction, agriculture, forestry and fisheries, industry and transport and storage. In addition, the Labor Inspectorate will also work for permanent improvements in the working environment of risky businesses in other industries in the country-based workforce. The construction industry also continues the industry cooperation for safety. Six occupational injuries were reported in transport and storage in 2017. These are two deaths more than in 2016. In all six accidents, the lost worker was the driver of vehicles. Bus was involved in two of the accidents. In industry, five occupational injuries were registered in 2017. This implies an increase from the previous two years. There were no registered deaths in the industry in 2016 and two deaths in 2015. In one of the industrial accidents in 2017, two workers died. In agriculture, forestry and fisheries, three occupational injuries were registered in 2017. This is the lowest registered number in the industry for the period 2012-2017, with an average of six work-related deaths per year recorded. Two of the deaths occurred in connection with forest work and one in connection with construction work. Three deaths were registered in 2017 business business services, the same as in 2016. Two of these accidents occurred in connection with the repair or maintenance of vehicles. One accident occurred in connection with agriculture. One woman died at work in 2017. This is the same as in 2016. The woman died as a result of an act of violence. On average, in the period 2012-2017, two women per year died. For further statistics, see the statistics pages at arbetsstilsynet.no. Here statistics have been published about occupational injuries for the last five years.